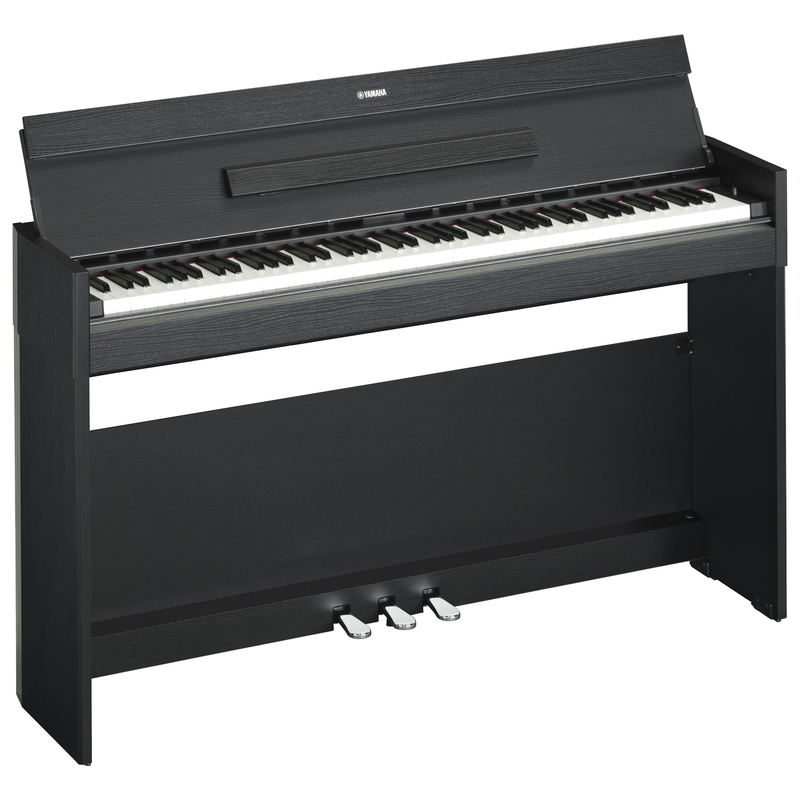 The black Arius YDP-S52 from Yamaha is a digital console piano featuring an 88-note graded hammer keyboard with synthetic ivory keytops, touch sensitivity, ten preset voices, and 192-note polyphony. It can be used for the home or playing during lessons. The YDP-S52 is equipped with the PureCF sound engine. The piano sound was recorded from a Yamahas CFIIIS concert grand piano, and it offers an authentic performance experience, allowing for rich, natural reverberation even during complex passages with flurries of notes and extensive use of the pedal. In addition, the YDP-S52 is built with four reverberation presets such as recital hall, concert hall, chamber, and club, so you can enjoy the ambience of concert halls, recital halls, live gigs in jazz clubs, and more. There is a stereophonic optimizer that adjusts the sound when you're listening with headphones, giving you the feeling that you're hearing the piano without headphones on. Finally, there is a free "Digital Piano Controller" app that allows you to control the many functions included in compatible Yamaha digital pianos with your iPhone or iPad. Change voices, reverb, and other settings while looking at the screen. You can even save your favorite settings for quick recall at any time.